Learn about the history, culture, and geography of one of Houston's top areas. Welcome to MySpringBranch, your guide to what’s happening in one of Houston’s fastest growing areas. Our mission is to showcase the best of what Spring Branch has to offer! We keep you informed about the events, outdoor recreation, restaurants, shopping and real estate news you need to get the most out of Spring Branch. Plus, we profile who and what’s happening around town with our feature articles – to give you a deeper flavor for this fantastic area. If you’re new or considering making the move, we’re here to help you experience the best and brightest that Spring Branch, Houston has to offer. Aside from the central location and beautiful oak-lined streets, Spring Branch is rich in history and culture. 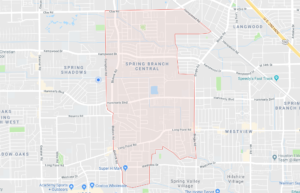 Spring Branch is a district in west-northwest Harris County, Texas, United States, roughly bordered by Tanner Road and Hempstead Road to the north, Beltway 8 to the west, Interstate 10 to the south, and the 610 Loop to the east; it is almost entirely within the City of Houston. Several minor bayous run through the community, including Brickhouse Gully, Spring Branch (the neighborhood namesake), and Briar Branch, which drain into Buffalo Bayou in central Houston. The Spring Branch Management District exercises jurisdiction over the area and is one of the most active districts in the city, always striving to improve the area. Spring Branch has a history older than the City of Houston. In 1830, before Allen Brothers founded Houston in 1836, a German immigrant named Karl Kolbe sailed from Gotha, Germany, in search of a new home for his family. After landing in Texas, he made his way up Buffalo Bayou and settled on the banks of a creek which emptied into the bayou. That earliest settler was to be remembered in history, and that history would become part of the curriculum taught in Spring Branch I.S.D. In the early to mid-1840’s, four other families looking for a new life from their native Germany settled in the community. They were the families of Daniel Aherenbeck, Jacob Schroeder, Louis Hilendahl, and Henry Hilendahl. In 1848, the Wilhelm Rummel and Seigesmund Bauer families arrived in Galveston aboard the condemned ship Neptune. Kolbe, Ahrenbeck, and Daniel Hilendahl met and encouraged them to settle in Spring Branch. That evening, they, along with five other families, held a Thanksgiving service for their safe trip. August Bauer, son of Cari Bauer, was appointed the religious leader of the group. St. Peter’s United Church was born and it is the second oldest church in Houston. Spring Branch has gone through many changes over the years. Its population started as a solely German community and shifted to a broader, mostly Anglo population. Over time, that population has evolved into a more diversified population that we see today. Many families have chosen Spring Branch looking for a new and better way of life. 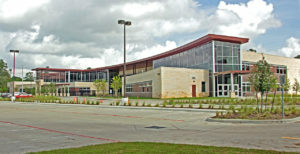 Spring Branch I.S.D. continues to be one of the highest ranking districts in the Houston area. The Spring Branch School Society, sponsored by the church in 1856, eventually became the Spring Branch Independent School District. The early settlers all had roads named after their families – Gessner, Conrad Sauer, Witte, Wirt, Blalock, Campbell, Hillendahl, Bauer, Fries, and Neuens. The eastern part of Spring Branch was annexed by the City of Houston in the 1940s while the western part was annexed in the 1950s. 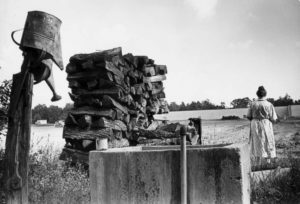 In the mid-1950s, efforts to create a Spring Branch municipality failed. Following this, the Memorial villages, a group of six independent municipalities, formed. 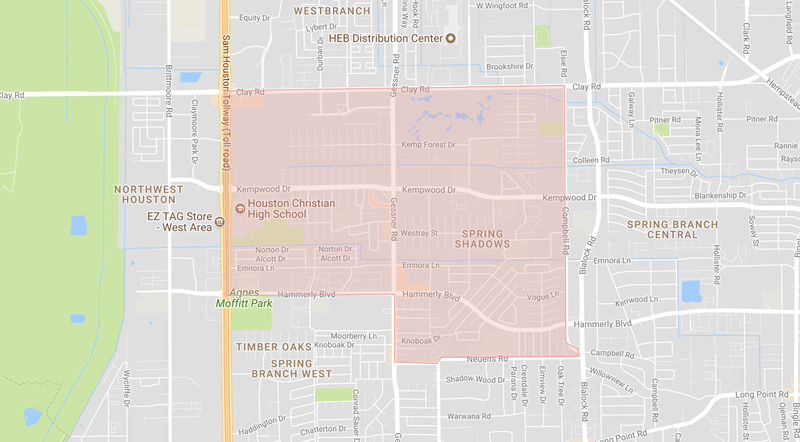 Houston annexed the rest of the Spring Branch area. Until the late 1960’s, Spring Branch had a rural suburban character with dirt roads and horses in the area. Sources: Houston Business Journal, Houston Chronicle, SBMD.org, SpringOaks.org, Wikipedia. Spring Branch Independent School District is a school district headquartered in Hedwig Village. 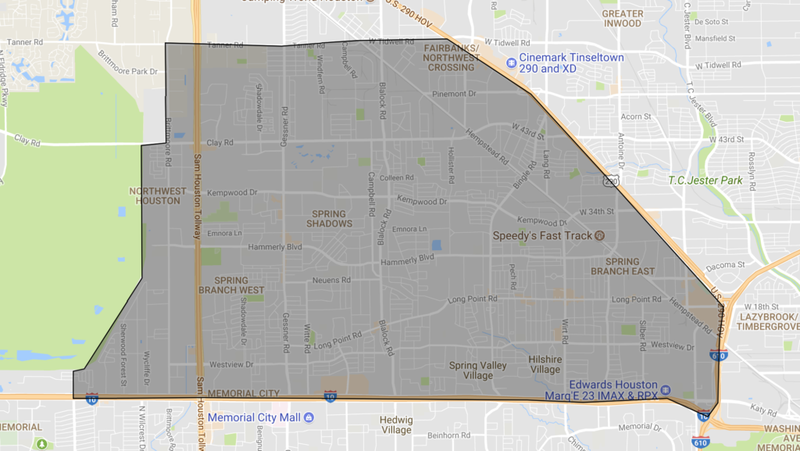 The district serves portions of western Houston, including most of Spring Branch. It also serves several small municipalities known as the Memorial Villages, such as Hedwig Village and Spring Valley Village. The school district’s boundaries include Hempstead Road to the northeast (formerly US 290), Interstate 610 to the east, Clay Road to the north, the Addicks Dam to the west, and Buffalo Bayou to the south. There are currently 4 traditional high schools (grades 9-12), one of which is 6A, and three 5A high schools, 8 middle schools (grades 6-8), and 26 elementary schools (grades K-5), and 6 early learning Pre-K centers in the district. 3 more high school centers serve students in grades 9-12 for various purposes, including one public charter school. The greater Spring Branch area of Houston is divided into four “super neighborhood” areas, and has experienced tremendous growth over the past decade. In 2013 Houstonia magazine stated that Spring Branch, including the adjacent cities of Hillshire Village and Spring Valley Village, was one of the “25 Hottest Neighborhoods” of Houston. 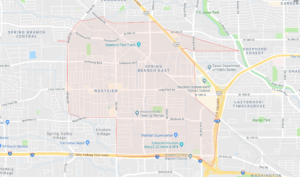 Spring Branch Central is roughly bordered by Bingle Road to the east, Hempstead Road to the northeast, Clay Road to the north, Campbell/Blalock Roads to the west, and Westview to the south. Subdivisions in Spring Branch Central include: Binglewood, Campbell Woods, Hollister Place, Holley Terrace, Langwood, Kolbe Farms, Outpost Estates, Spring Branch Estates, Spring Branch Oaks, Springwood, Timbercreek, Western Oaks, Whisperwood Townhomes, and Yaupon Estates. 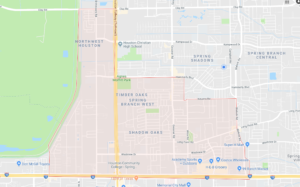 Subdivisions in Spring Branch West include: Gessner Woods, Pine Village, Rollingwood, Royal Oaks, Royal Spring, Shadow Oaks, Sherwood Oaks, Spring Branch, Spring Woods, Timber Oaks, Victorian Village Townhouses, and Wrenwood. Subdivisions in Spring Branch East include: Spring Oaks, Pine Terrace, Ridgecrest, Afton Village, Monarch Oaks, Westview Terrace, Craig Woods, Old Spring Branch, and Village of Afton Woods. Subdivisions in Spring Branch North include Kempwood, Kempwood North, MacGregor West, Oak Tree Townhomes, Spring Branch Valley, Spring Shadows, Spring Shadows Townhomes, Victorian Village, and Willow Walk Townhomes.